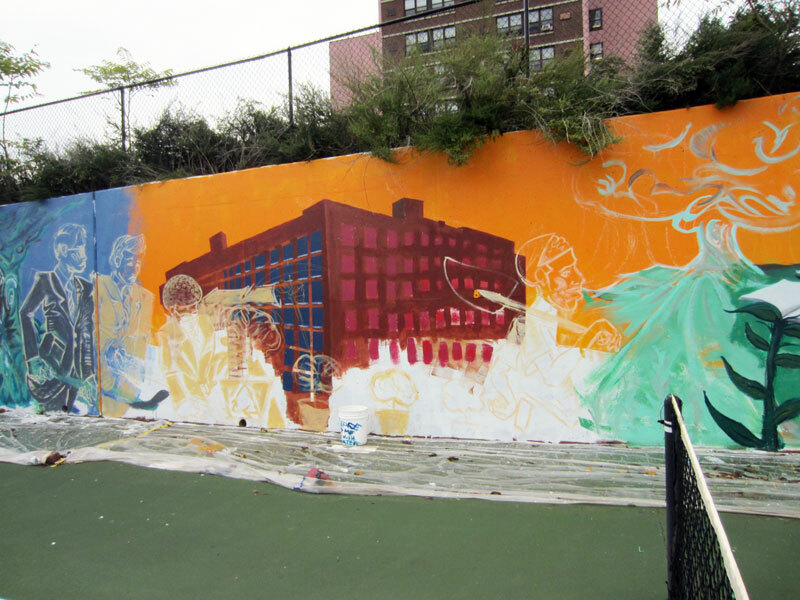 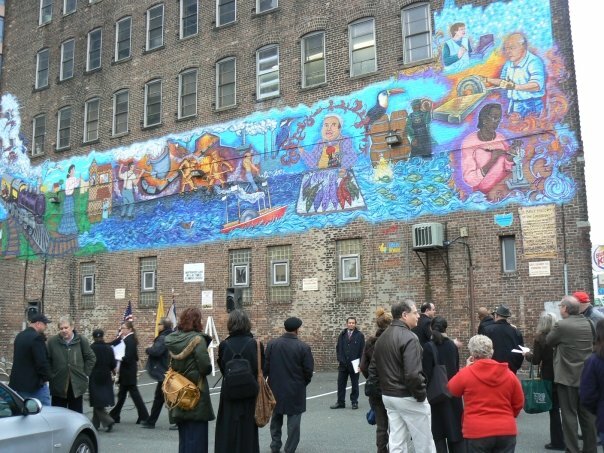 A portion of the mural commemorates the great rent strike at the Stella Wright Houses between 1970 and 1974, when over 2000 people refused to pay rent in protest of their housing conditions. 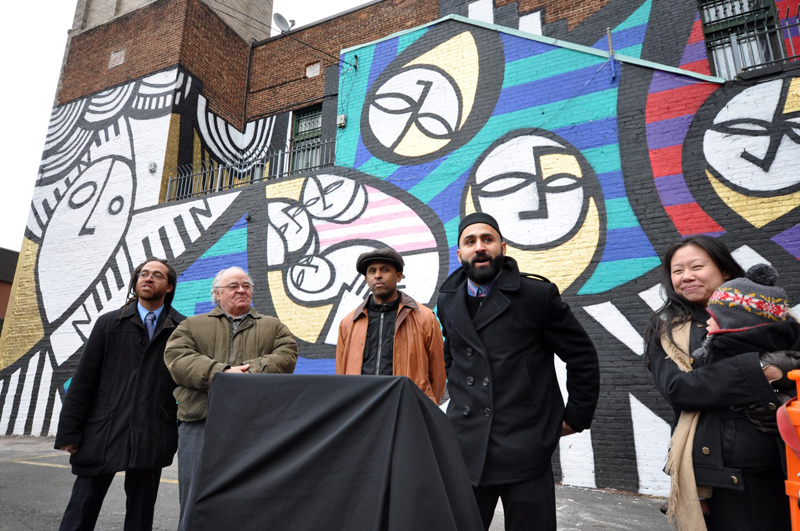 Above left: Artist James Wilson with Central Councilman Darrin Sharif, in front of a scene of former Central Ward Councilman Jesse Allen, for whom the park is named. 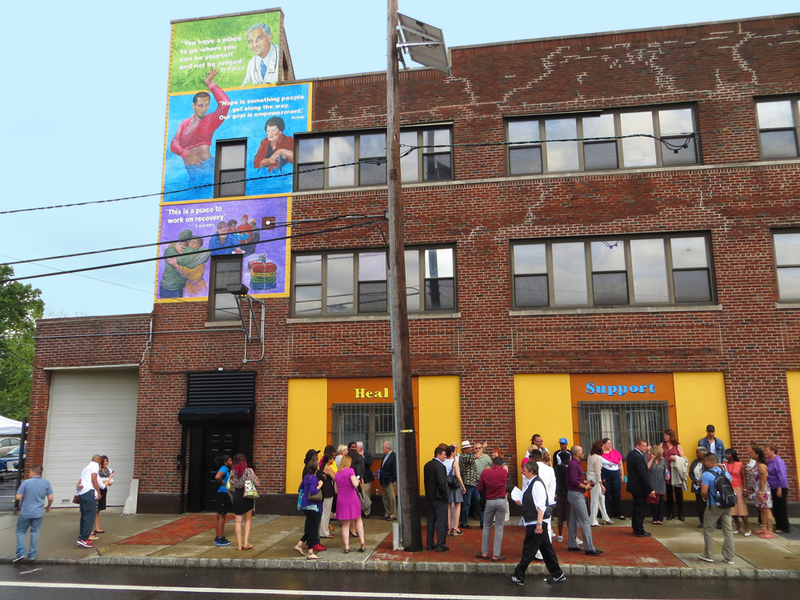 Above right: Youth team receive certificates of accomplishment. 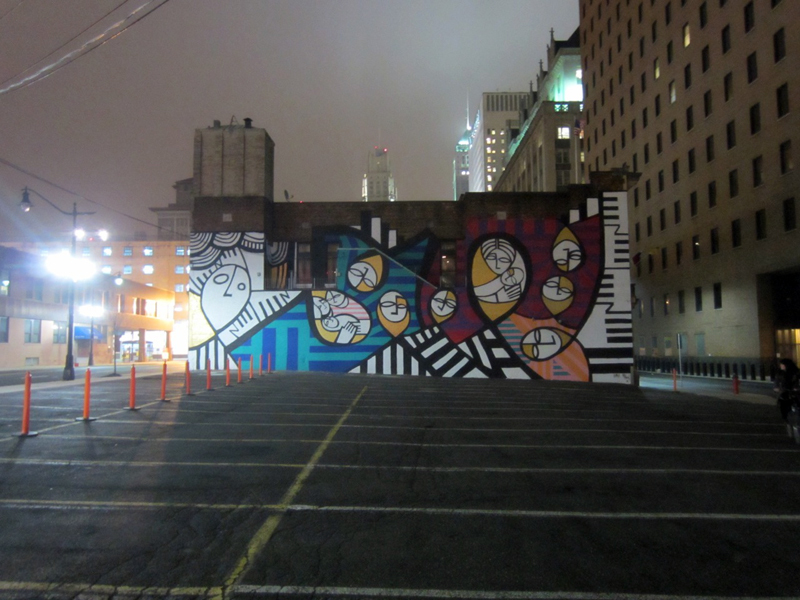 Academy Street & University Ave! 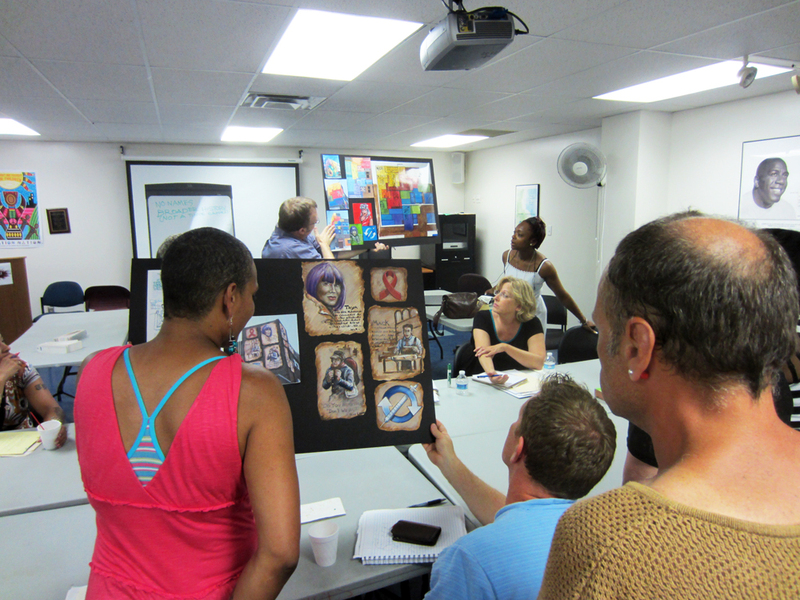 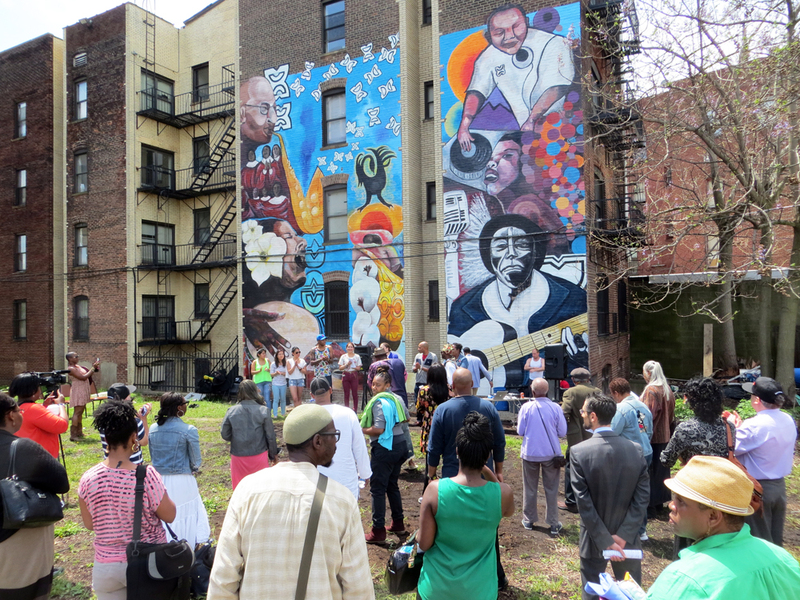 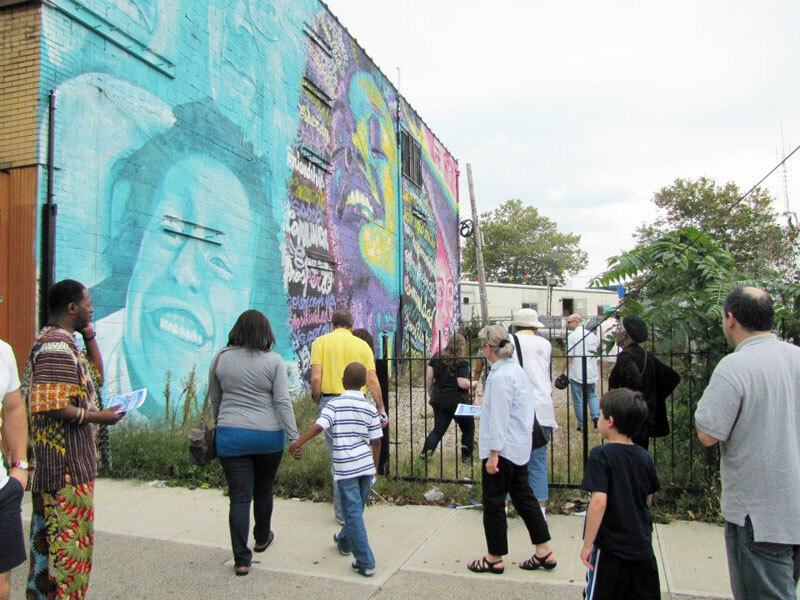 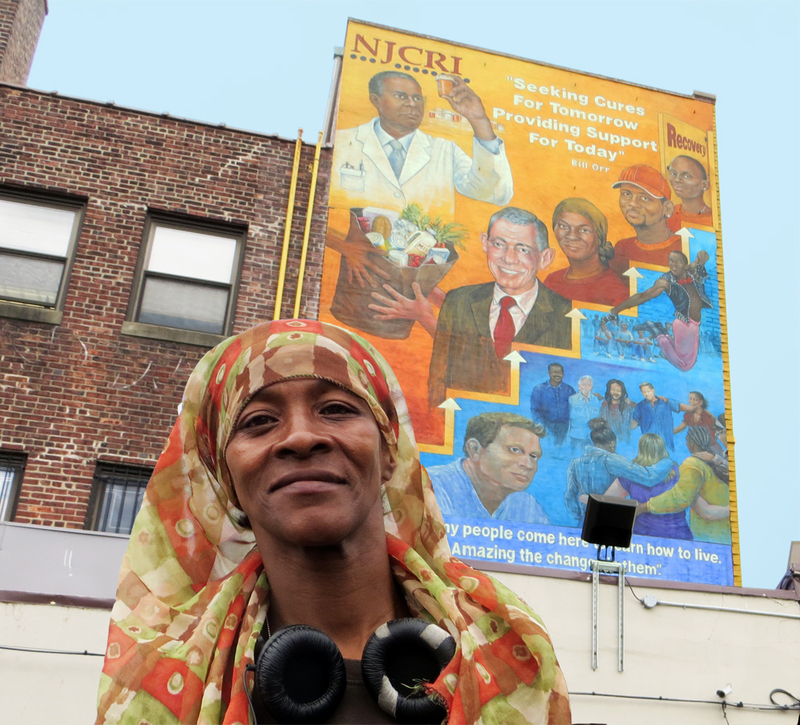 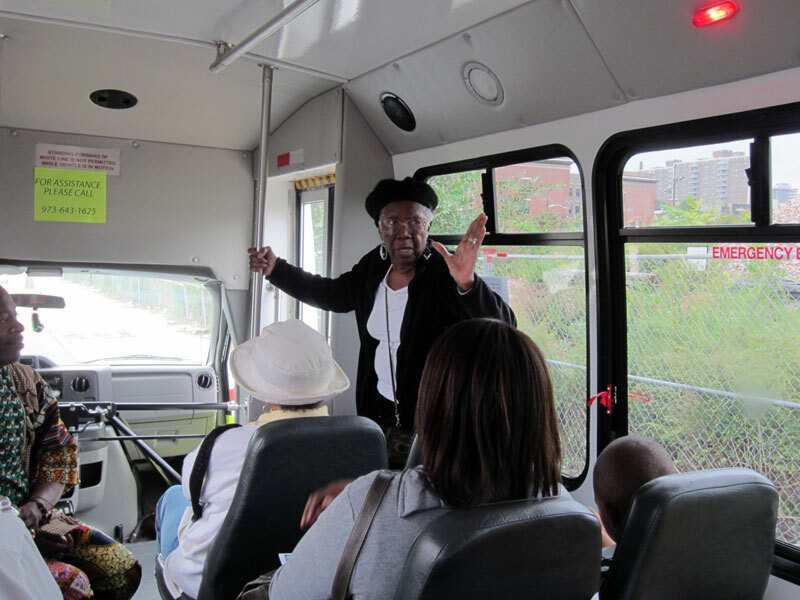 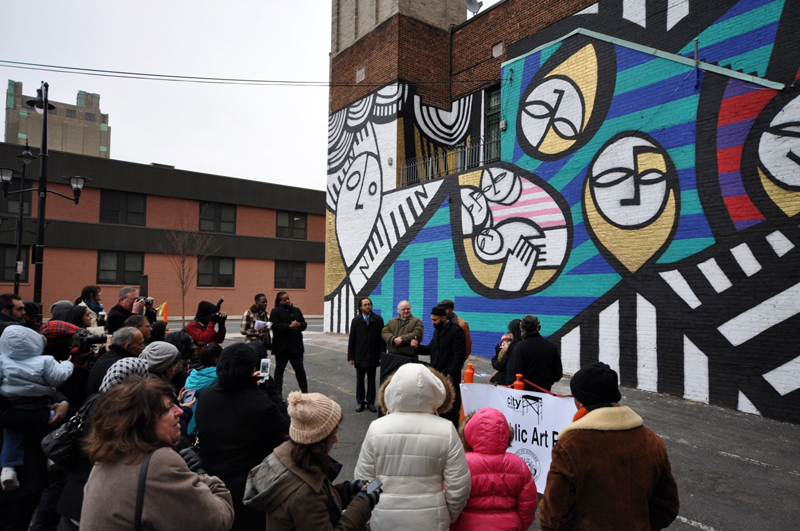 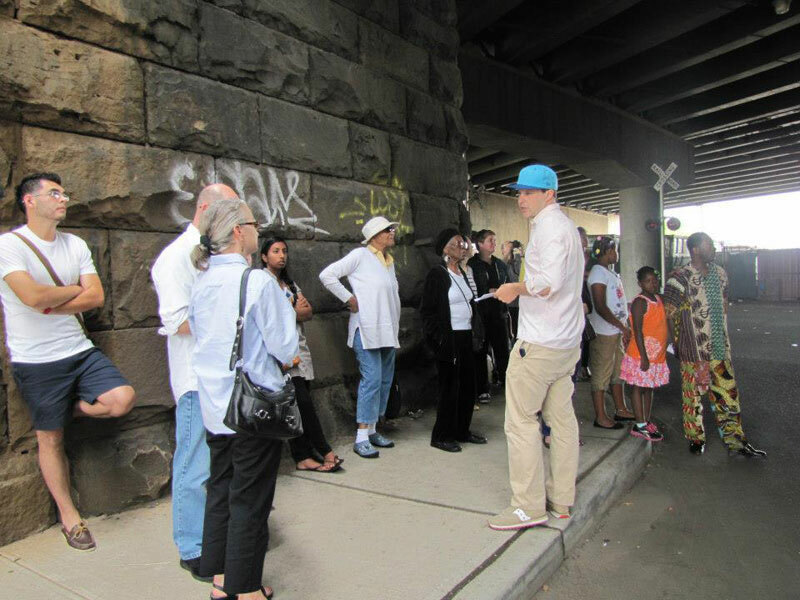 On October 8, Newark Public Art Program Director Damon Rich, Senior Program Advisor Rodney Gilbert, artists Gladys Barker Grauer and Melanie Stokes, and a dozen guests visited several recently completed and in-progress Newark Murals projects. 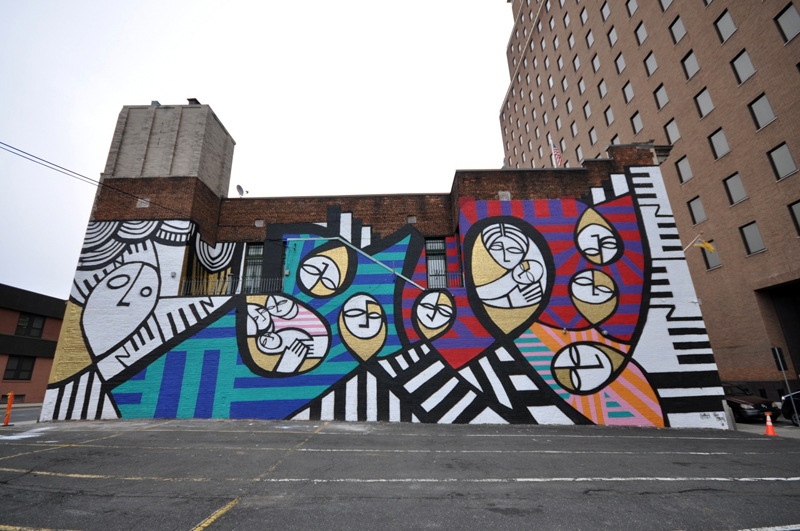 See the colors and patterns of Newark’s neighborhoods captured in public artworks throughout the city. 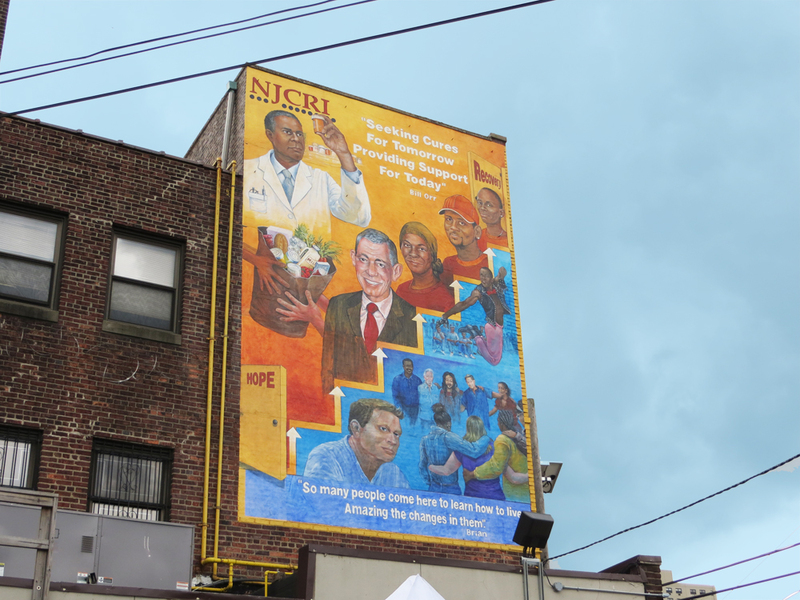 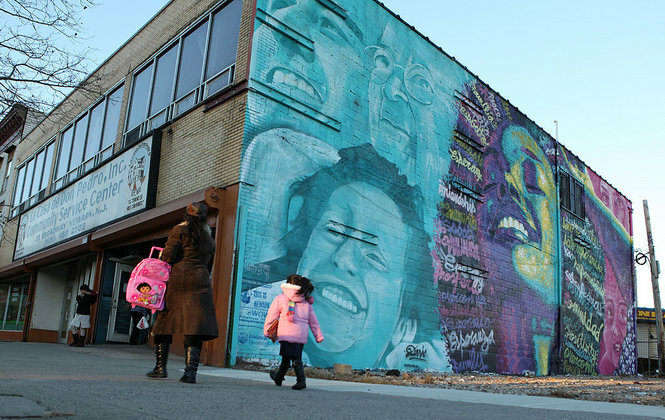 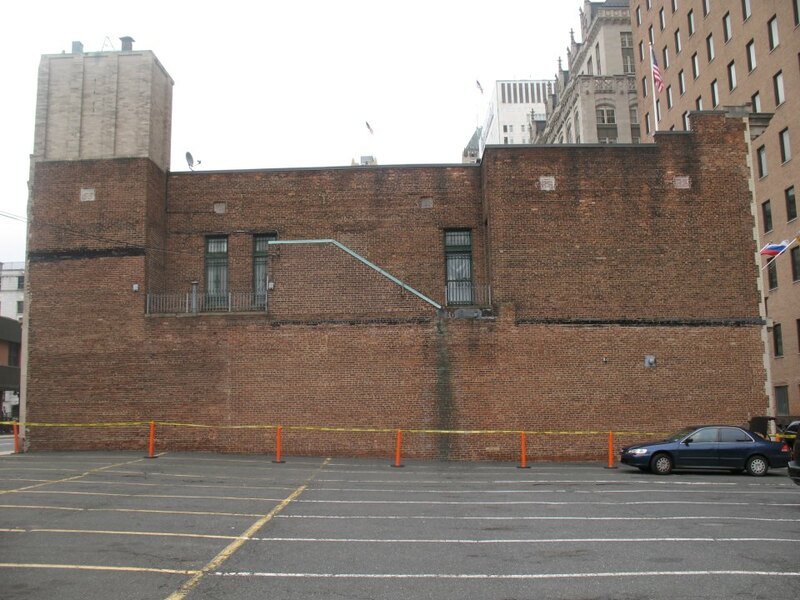 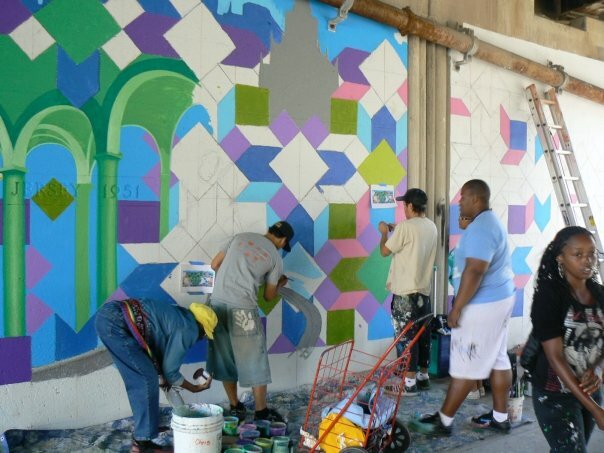 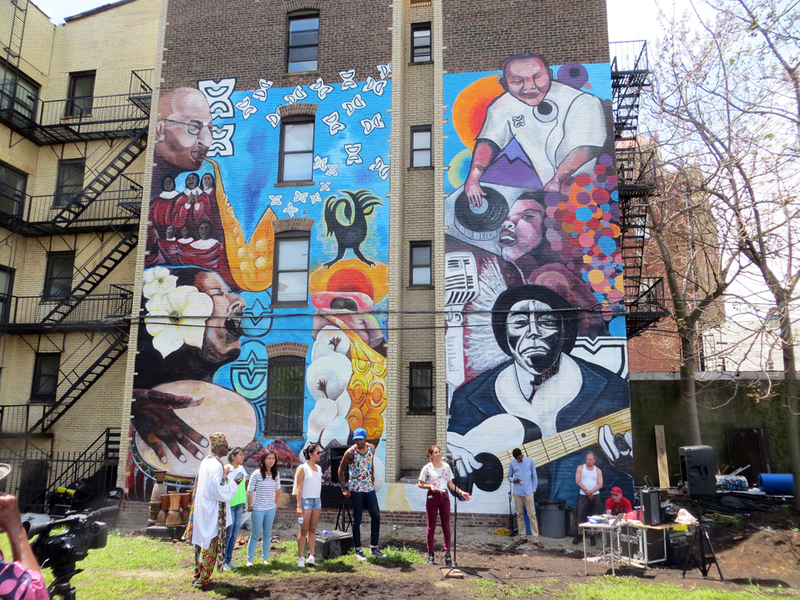 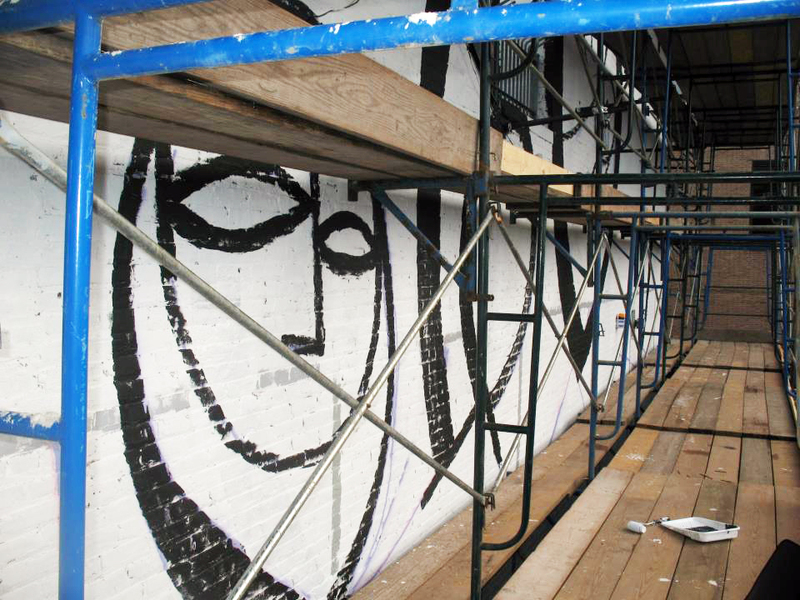 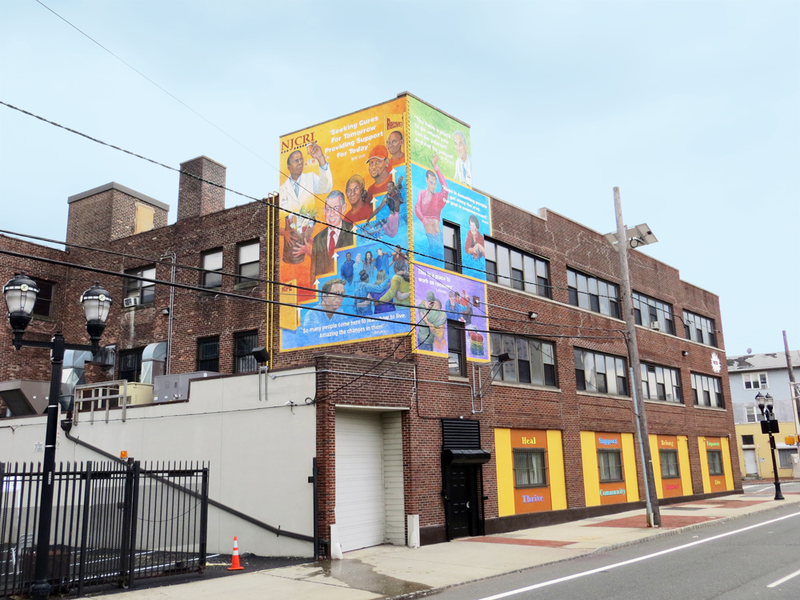 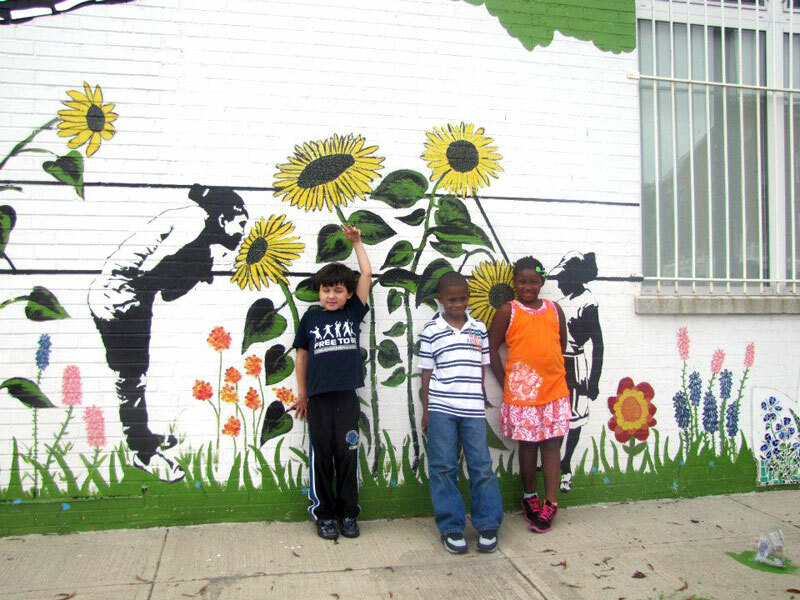 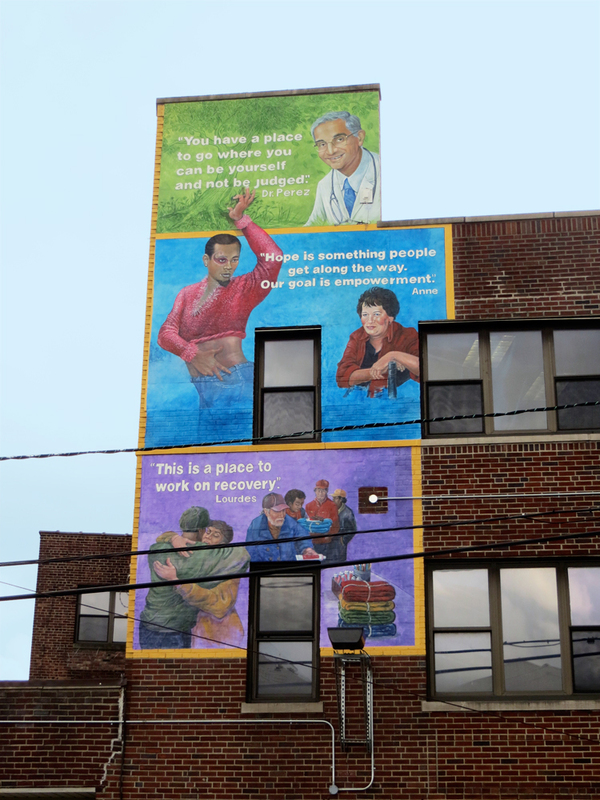 The Newark Public Art Program has issued the annual Newark Murals Call for Walls, soliciting ideas from Newark businesses, organizations, and residents for large, prominent, outdoor walls as sites for permanent public murals. 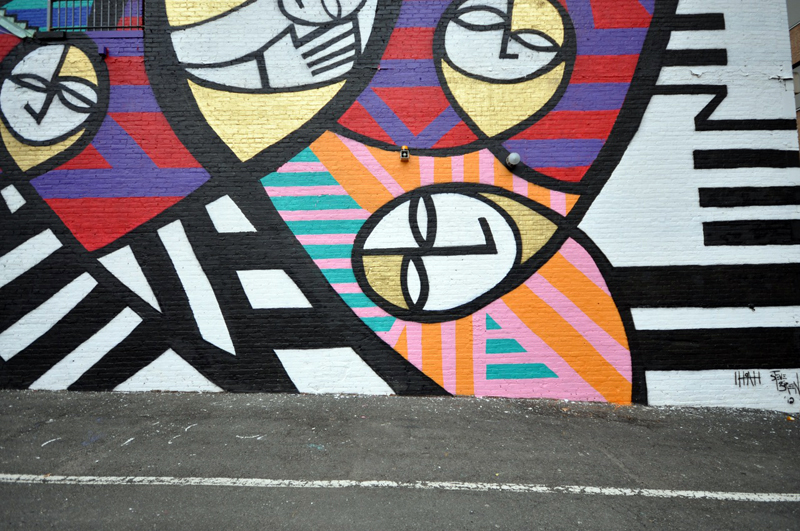 Deadline: June 1. 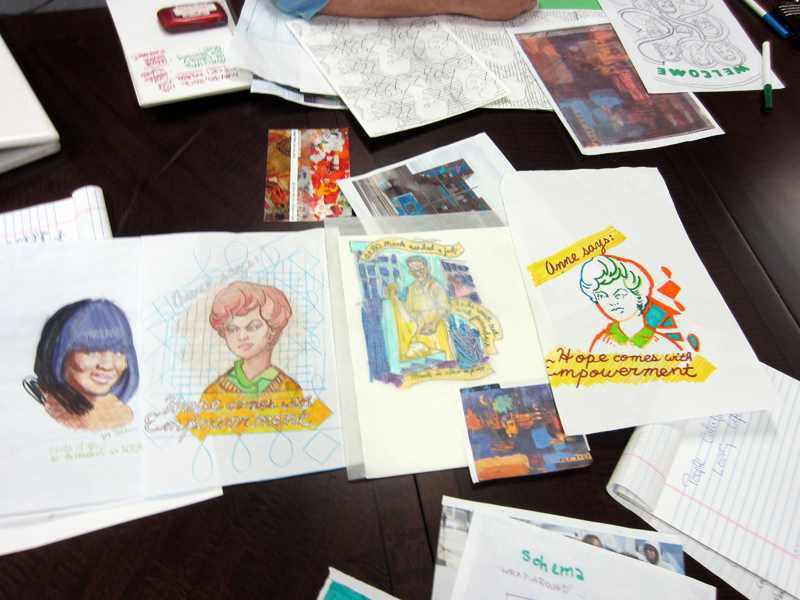 Download submission information here.